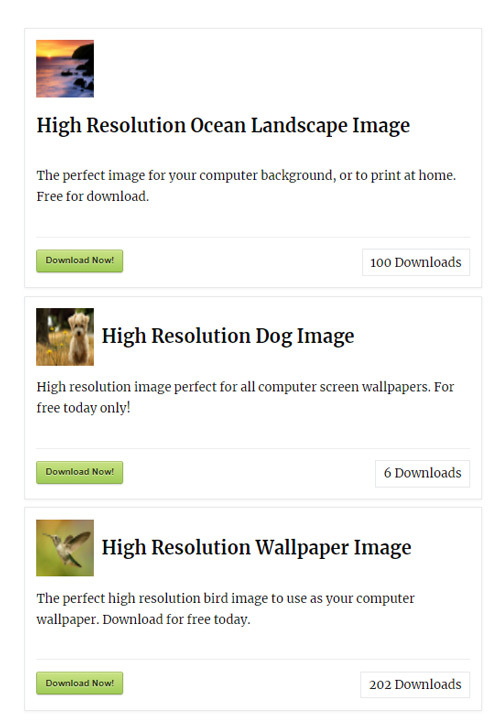 In some cases you may wish to display downloads from a particular category on a WordPress post or page. Instead of needing an individual shortcode for each download, you can use this documentation to help you display all the items you have placed in a category on a page. You can also place multiple shortcodes on a page if you need to show more than one category. 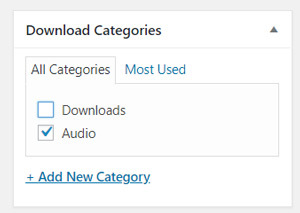 Before using a shortcode to display downloads from a particular category you will need to ensure you have categorized your downloads first. Select the download(s) you would like to place in a category. On the right-hand side of the ‘Edit Download’ page you will see a section titled ‘Download Categories’. Select the category you would like to place your download in. Alternatively, create a new category for your download. Place similar downloads within the same category. Ensure you ‘Update’ any changes you have made. To display all the downloads that you have placed in a particular category, you will first need to locate the category slug/ID. Go to the the ‘Categories’ menu. You can see all the download categories you have created here. This is where you will find the slug of the category. Now that you have located the category slug for the downloads that you wish to show, you can use the following shortcode on any WordPress post or page. Using this shortcode will show all of the downloads that have been placed in the category. The category slug in the above example is test-download-category. You will need to replace this with the slug of the download category you wish to display. Ensure you paste and edit this shortcode in the text editor. You can use the “orderby” and “order” parameters to customize the sorting of the download items. These shortcodes enable you to decide how your downloads are listed on a post or page. You can use the “pagination” parameter to paginate the category items display. This allows you to decide how many items are displayed per page. You can change the number “20” in the above shortcode to a number of your choosing. 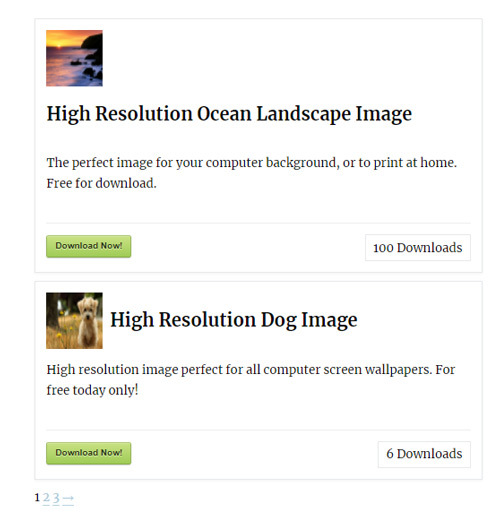 For example, by replacing it with “2“, only 2 downloads will be shown per page (see image below). You can specify multiple category slugs or IDs in the shortcode.